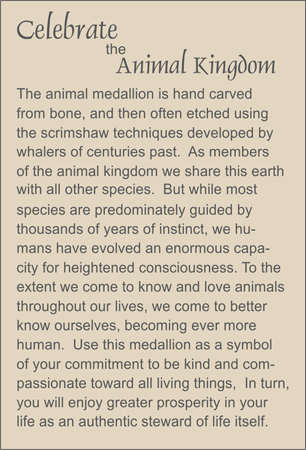 MEDALLION: Scrimshawed bone elephant medallion for intelligence. ACCENTS: New jade pillow & faceted oval. COMMENTS: Coordinating wine charms are available for this group of four charming animals. Scroll down to see other items with elephants.